Have you always wanted to be a Chicken Farmer? 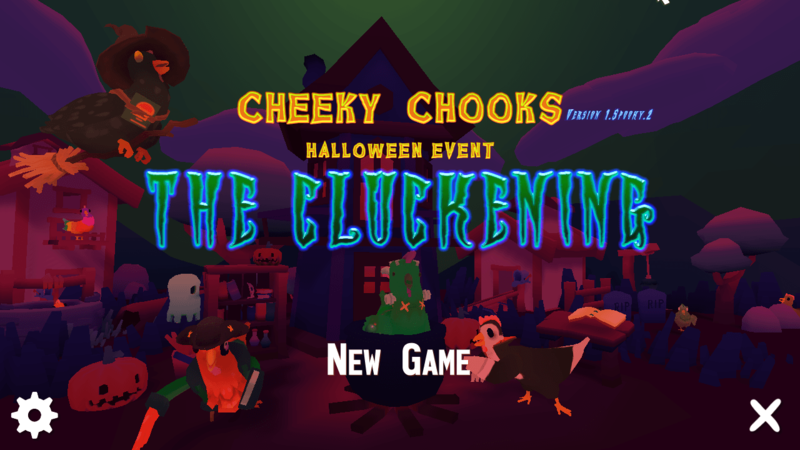 Then Cheeky Chooks is the game for you! A “Chook” is a chicken and it is your job to make a chicken farm! Cheeky Chooks has some fun little sounds. Fun as little funny and satisfying. Nothing super memorable here but they are just fun for some reason. Not really much else to say about the sound effects of the game. The graphics are simple, nothing special here. But the simple graphics is what adds to the fun-loving charm of Cheeky Chooks. It’s cartoony and a bit silly, and I feel like it is meant to be that way. Really the only issue I’ve had graphical wise was the buying interface it was a little clunky but I also wasn’t playing on full resolution. Overall the graphics are simple and charming and fit into the mold that Cheeky Chooks is trying to do. Will also run basically on any Windows standard PC. 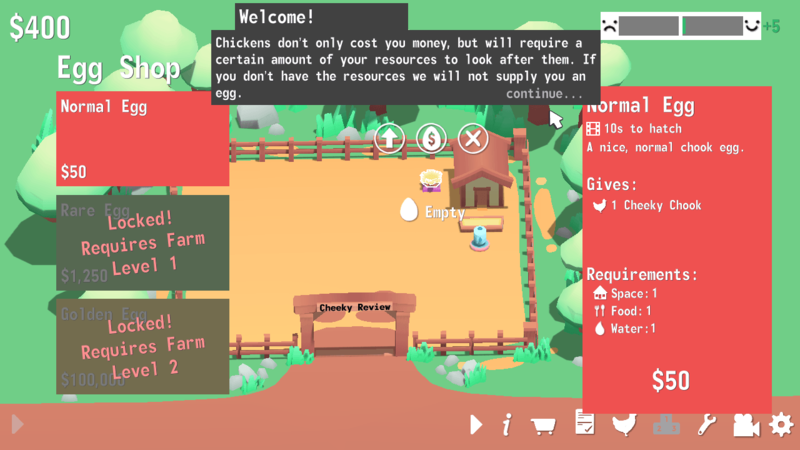 Cheeky Chooks core gameplay is to raise the best chicken farm you can. You start out with the bare minimum and work your way up. The gameplay is very simple, buy stuff and progress further and further until you complete the game. There are quests or tasks you can do to earn money to make it quicker to achieve money. So you must buy eggs to even hatch a new Chook(chicken). These eggs are the most expensive eggs I’ve ever seen too. $50 for a chicken egg!? Are you serious! Man, I’m glad this a video game because I wouldn’t even be able to get started in real life. 50 bucks for a chicken egg. Sheesh. After farming and gathering even chickens. Doing simple tasks your Cheeky Chook farm will continue to grow! 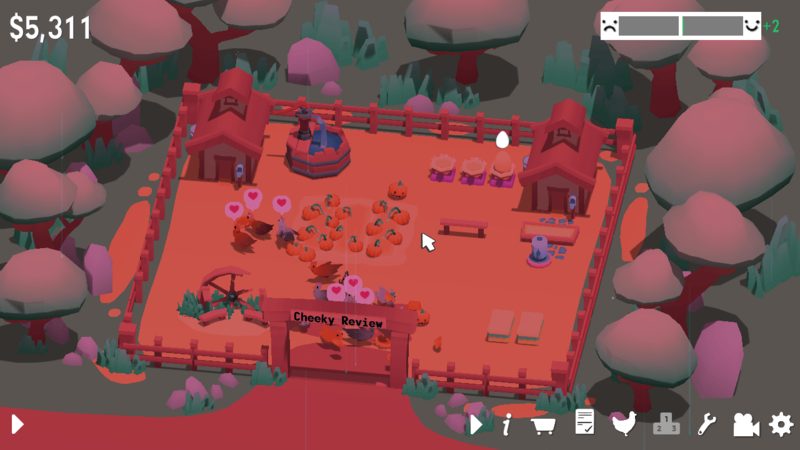 Unlocking bigger farms and more items. This is a very simple fun game. There’s not really a lot to be said or to write about. I wanted to play a simple game and review it and this one popped up on steam today. I figured I would give it a try and turns out. I really enjoyed playing Cheeky Chooks. There are even events that go on within the game such as the Halloween version that I played. Also, there are no ads or paywalls! Just fun to be had with this game. I was very surprised to find a game like this, that didn’t want to cash in ever 5 seconds of gameplay. I’m glad to have stumbled across this tiny game from a developer I’ve never heard of. I hope this game is a learning experience and they continue to develop games. This is a quality little fun and charming game completely for free and in 2018 that is saying something! If you enjoyed this Cheeky Chooks review please follow me on twitter @realkynerd and be sure to subscribe to the newsletter for kentuckynerd.com! If you like podcasts be sure to subscribe to the Full Tech Podcast available on iTunes. Also be sure to follow the KN Steam Curator where I will be doing even more Steam Reviews so be sure to follow if you want more posts like the Cheeky Chooks review! 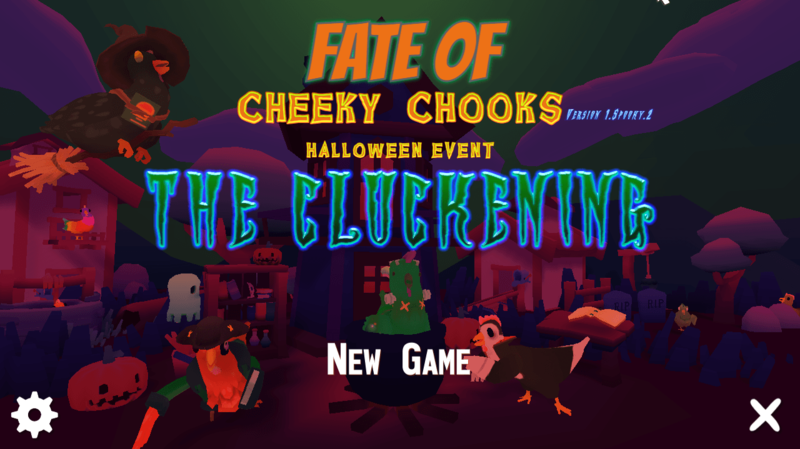 Cheeky Chooks is a quality, silly, fun and charming game completely for free and in 2018 that is saying something!